We are all aware of the many Japanese restaurants hidden in Cuppage Plaza, but do you know there's one hidden in plain sight just opposite the building? Sushi Chiharu by Tamaya Dining is tucked within Tamaya Dining, another casual Japanese restaurant. 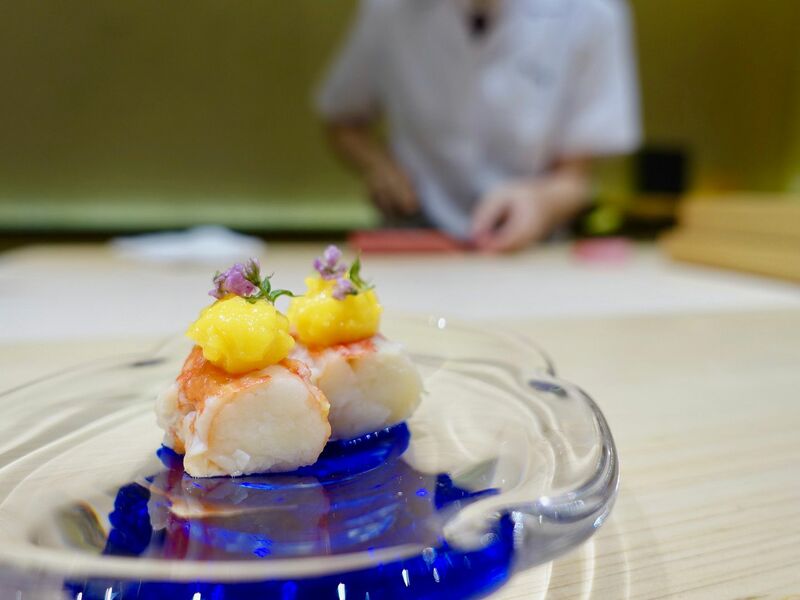 Expect an intimate night of intricate Japanese dining featuring fresh Japanese seasonal produce at this 12-seater omakase restaurant, whose flagship in Osaka is a three-time Michelin recommended Bib Gourmand (2016 to 2018). 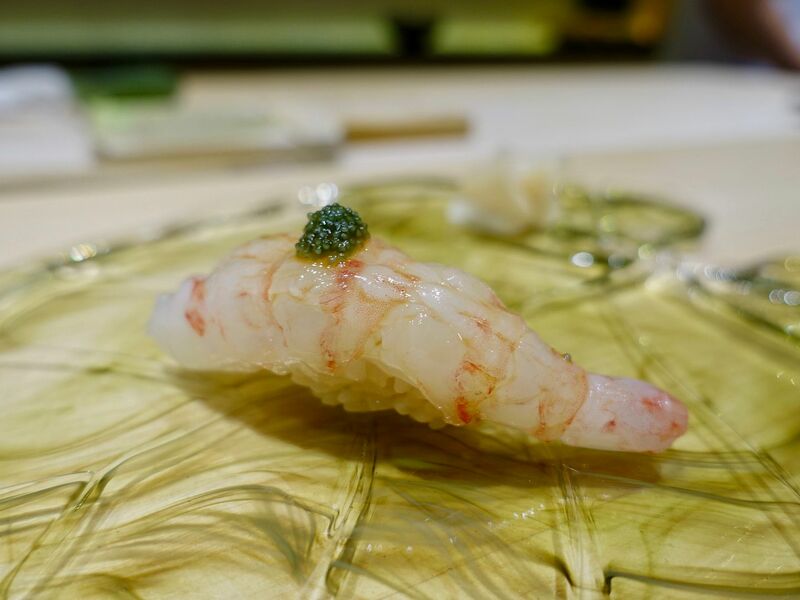 Quality and consistency is expected of the food delivered at Sushi Chiharu. 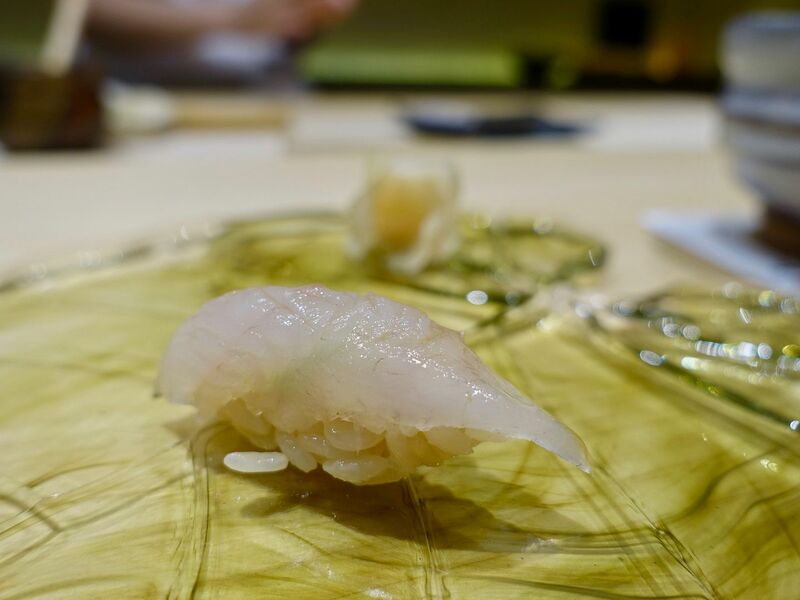 Sushi Chiharu handpicks the best chefs to work at their Osaka branch, and only a selected few get to be posted to their regional outlets. The chefs prepare two menus at the Singapore outlet, a 18-course Omakase Menu ($140) and a 10-piece Nigiri Sushi Course ($90). All items are served a la minute at the open sushi counter. 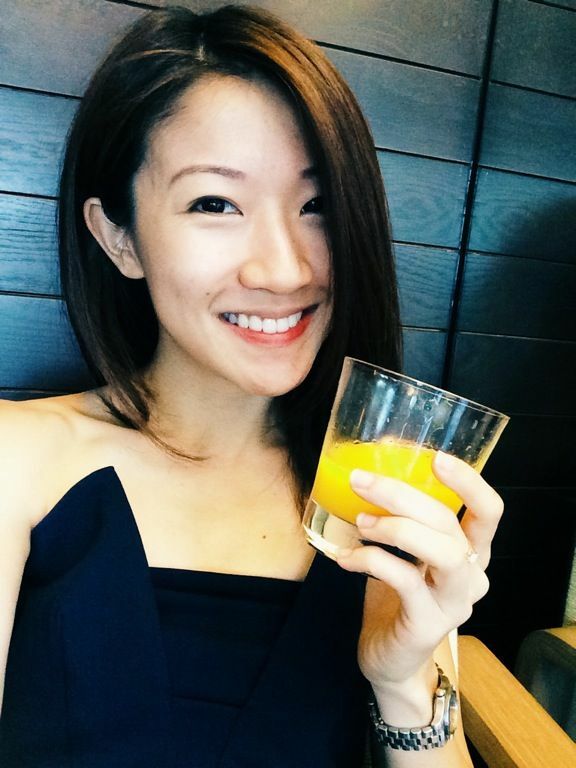 The 18-course includes three appetisers, two seasonal sashimi, a seasonal dish, the restaurant's signature 10-piece nigiri sushi, a soup and dessert. 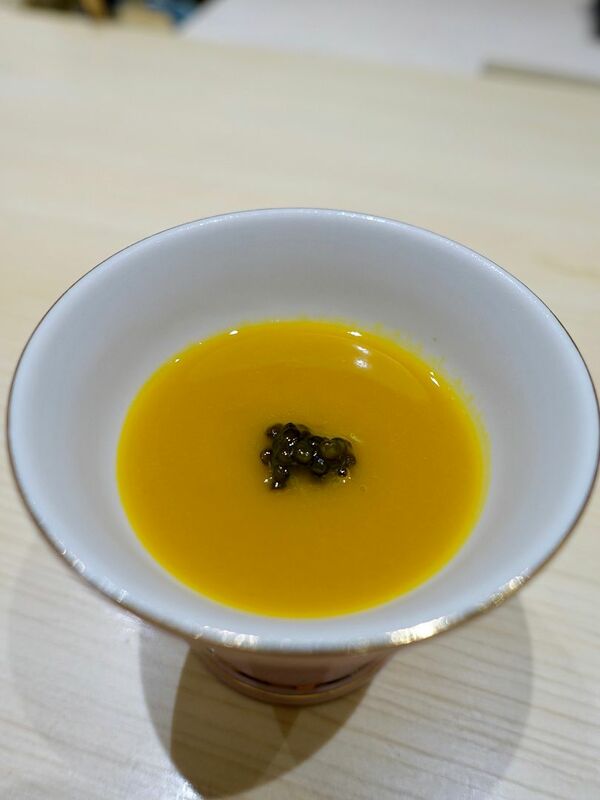 We started with a pumpkin soup with caviar. I loved the distinct dashi flavor in this Tsukiji pumpkin purée. 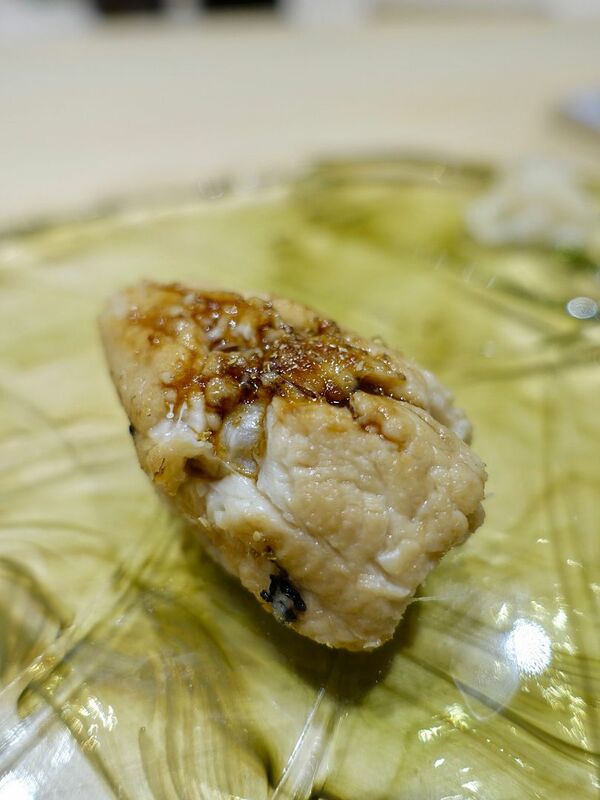 Next bite was the chunky Taraba Kani Kimi Sunose with Kimizu- grilled king crab legs with a vinegary egg custard. 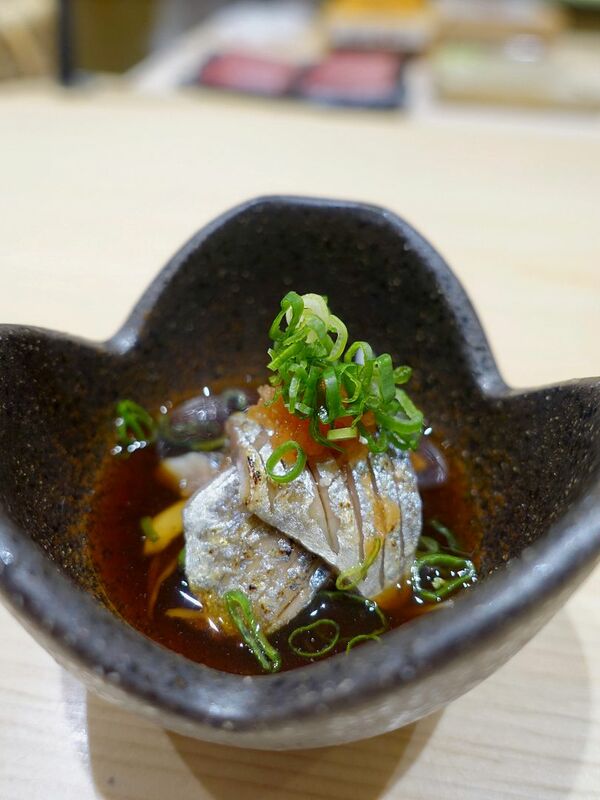 The fatty Hokkaido sardines were complemented with a refreshing sharp ponzu. I thought that the acidity helped take the edge off the fish. 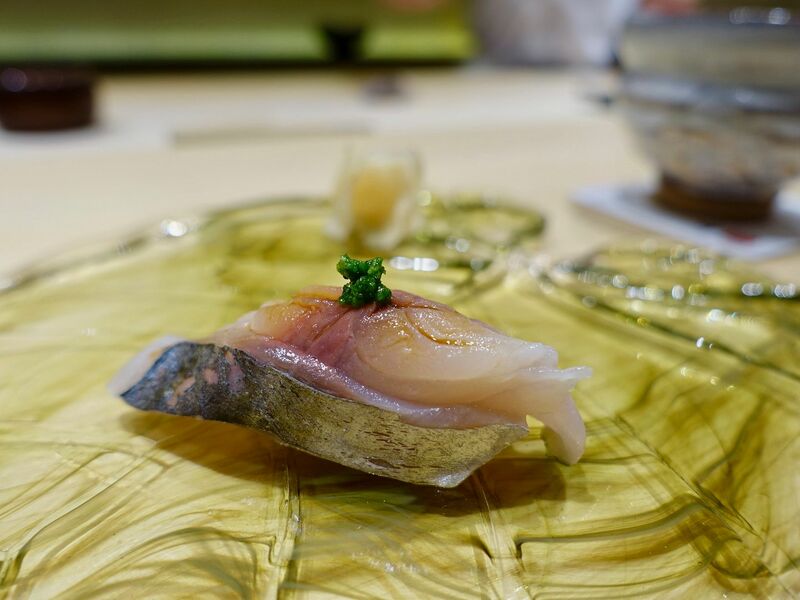 The sashimi course consisted of horse mackerel and chutoro. There was also aburi chutoro which melted perfectly. The tempura course was Hamo- Daggertooth Pike Conger. I enjoyed the light fragrant batter which didn't overpower the fluffy fish. Haenuki rice is used in the signature sushi course for its unparalleled softness, distinct grains, and how well they mold together. 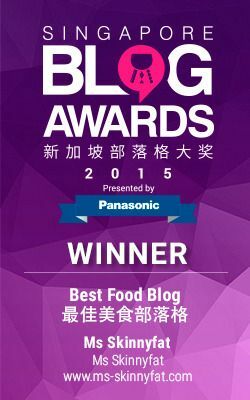 This rice is cooked with kombu, rice vinegar, and a touch of salt and sugar, to enhance its natural flavours. I love love love the rice and also how each piece of sushi is perfectly sized to pop into my mouth. 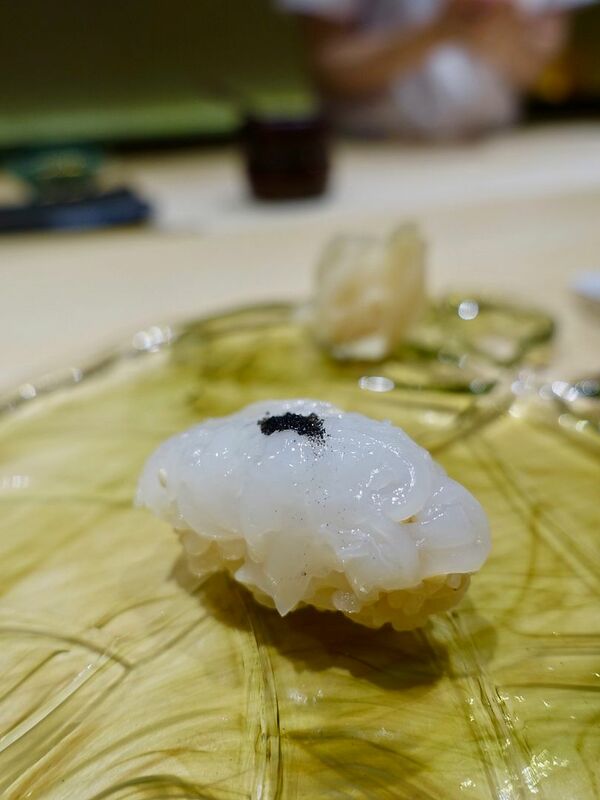 The Ika Somen Nigiri features thinly sliced squid (like noodles) topped with squid ink salt and a light drizzle of Japanese lime. Edomae sushi is served here and thus there are several cured seafood dishes. 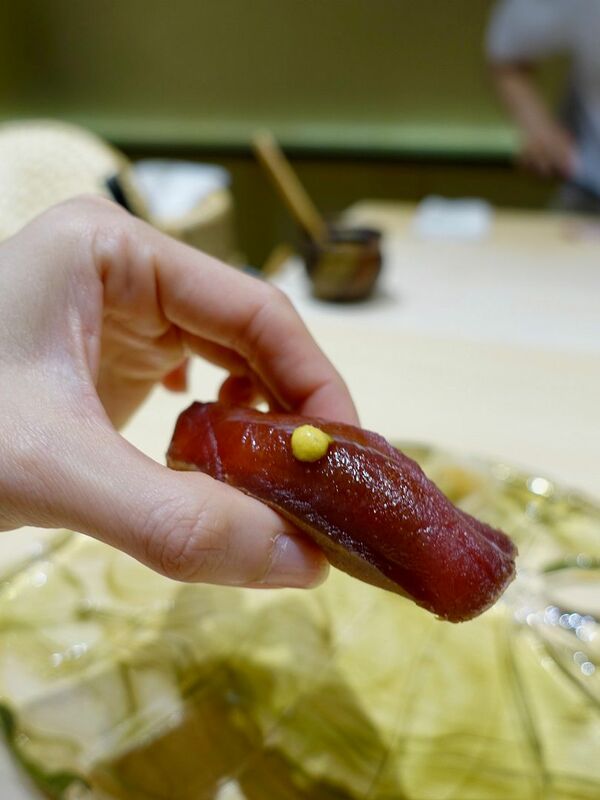 Cured tuna may sound like a salty bomb but the special blend of soy sauce that Sushi Chiharu marinates the tuna in brings out the sweetness of the fish. 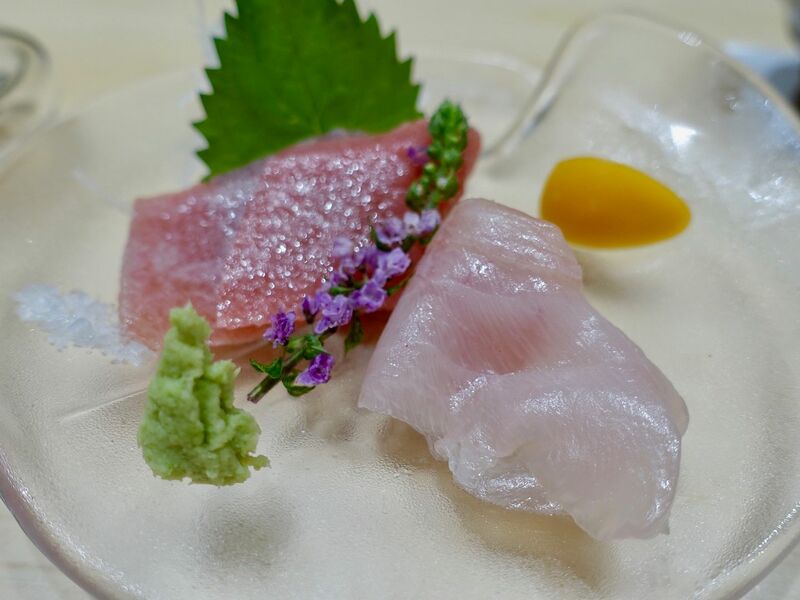 In the preparation of Aji Su Arai Nigiri, Aji (horse mackerel) is submerged in a homemade vinegar blend between one to three minutes. It is then sliced and scored, and topped with finely chopped spring onions and ginger, and lightly brushed with soy sauce to finish. Again, the tartness cleverly cuts through the strong flavor of the Aji. 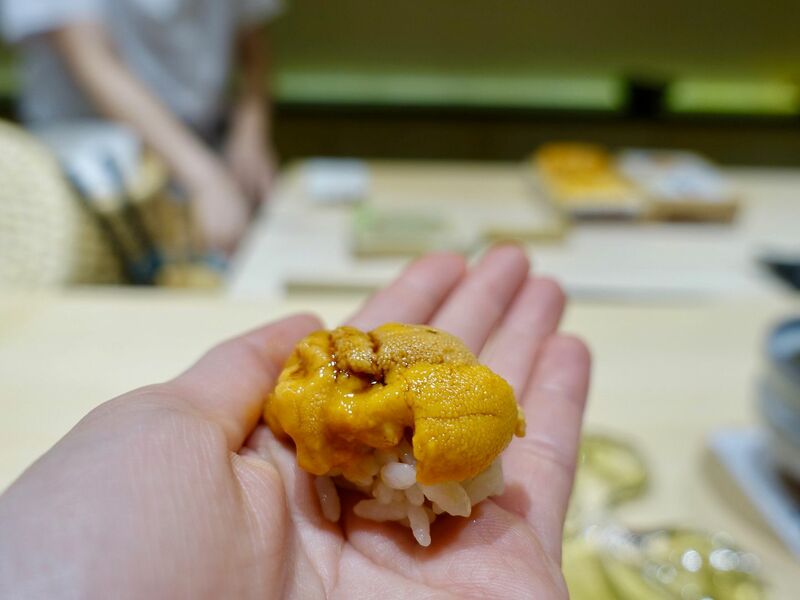 Moving on, both the Bafun and Murasaki Uni (sea urchin) tantalized my palate. Who can say no to Uni?! 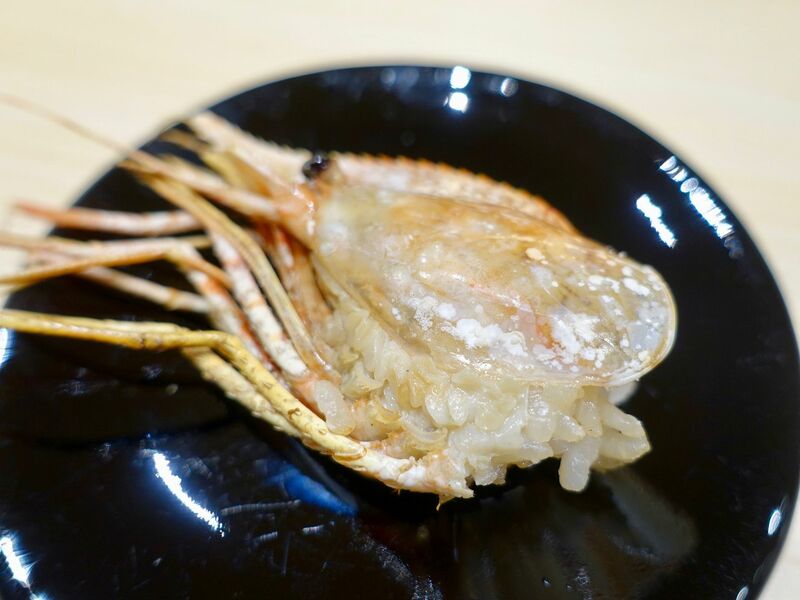 Prior to this Grilled Botan Ebi course, we had been tortured the whole night by the heady aroma of the grilled prawns that other diners were having. The sweet shrimp is served two ways- plump sashimi with marinated roe, and a crispy grilled prawn head stuffed with sushi rice. 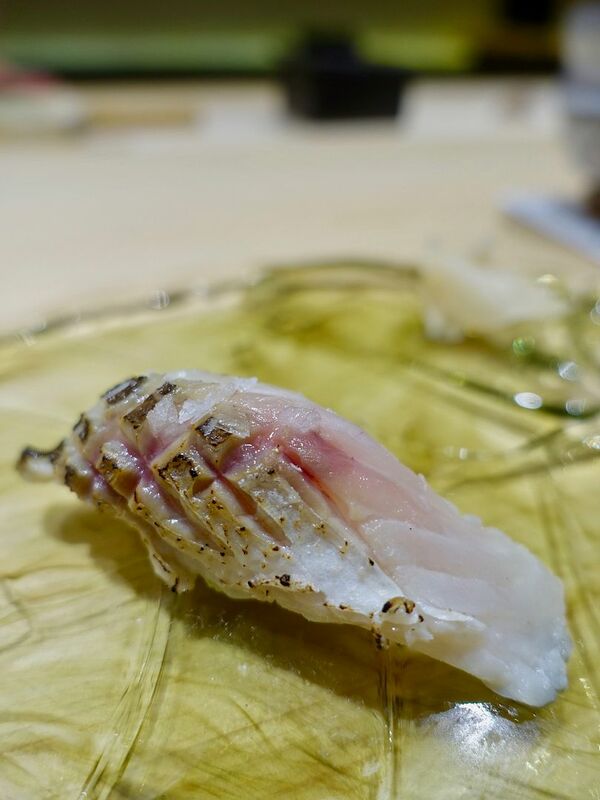 The Aburi Barracuda Kamasu was served with wasabi and salt. I thought it was a tad spicy. 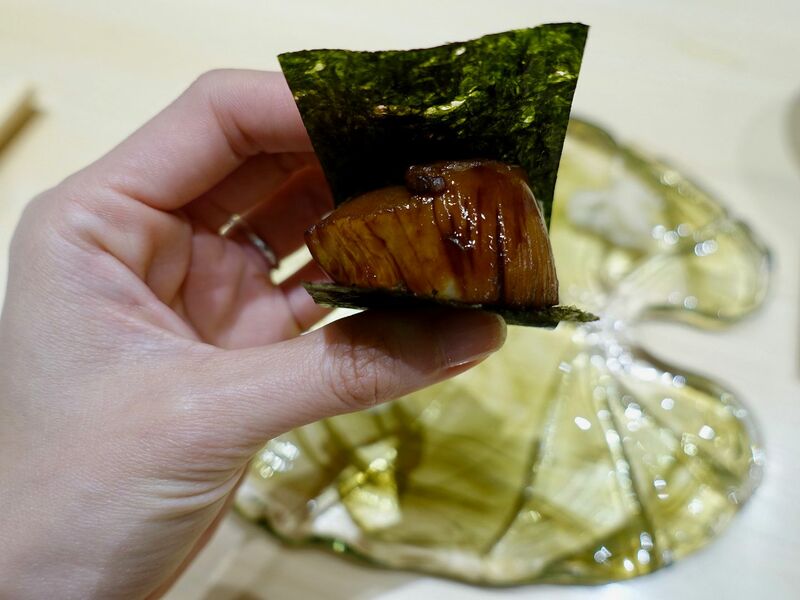 Anago Nigiri is uniquely prepared by first boiling the Anago (sea eel), then grilling it atop a sasa leaf on the hibachi grill. 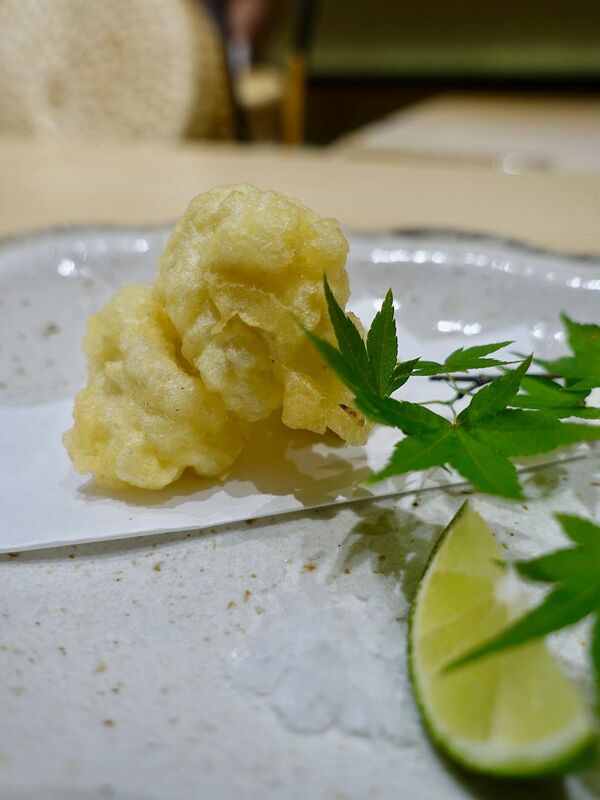 The result is fluffy cloud-like flesh with a touch of earthiness from the sasa leaf. This is finished with a light dab of sansho pepper and a glaze of a sauce reduced from a combination of soy sauce and its own juices. I can never say no to hotate and this one is coated in umami tare. Love that luxurious texture! 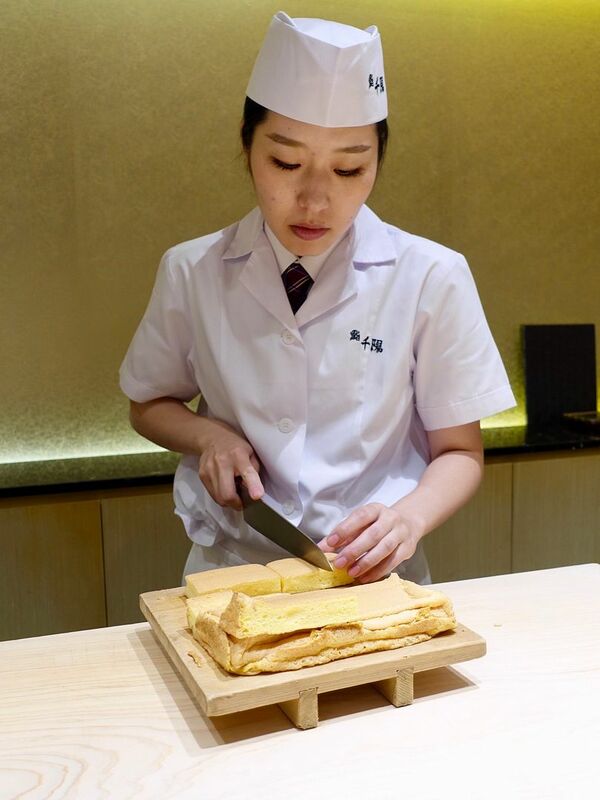 Sushi Chiharu's signature is Kerayaki, their unique take on tamagoyaki made with locally sourced eggs. Egg whites are whipped up into a meringue and the yolks are folded in. 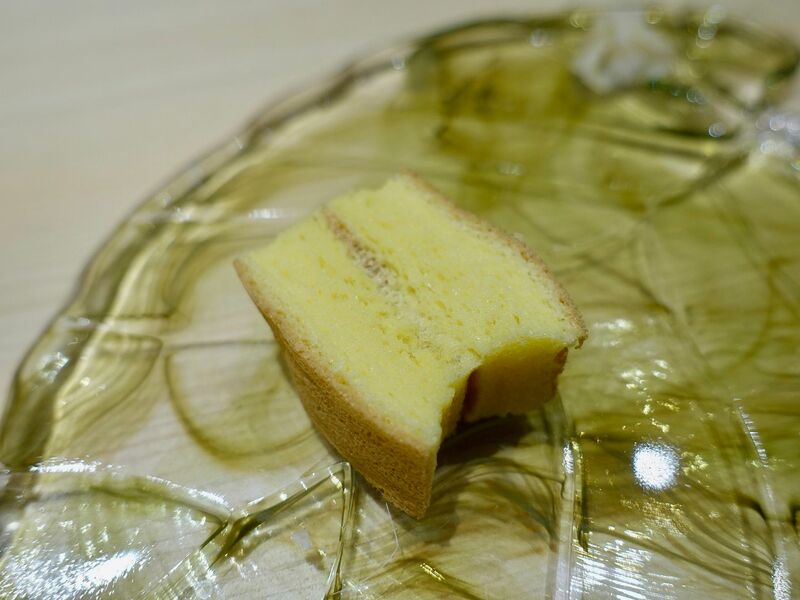 This results in an airy and slightly sweet sponge cake. A small amount of sushi rice is wrapped within the egg layers (i'm not sure why though). I mean i could have a block of it on its own as a dessert. 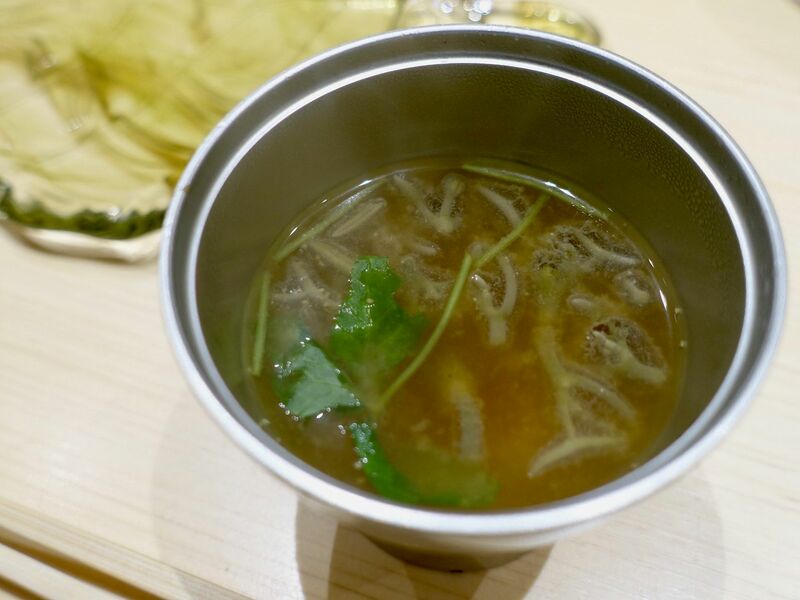 We ended the meal with a comforting miso soup with water lily. 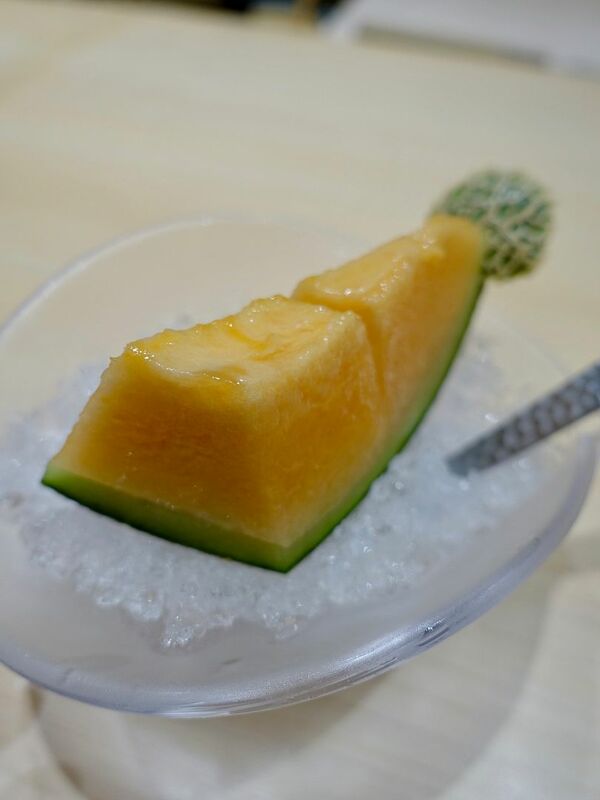 The meal ended with a sweet Japanese melon which turned into juice when we bit into it. MAGIC. One can could also enjoy a wide range of seasonal sakes by the bottle, ranging from $118 to $300. I really enjoyed my time at Sushi Chiharu. Great good, great price, great service. Be sure to make your reservation!